Sponsor a Glass Pane Today! 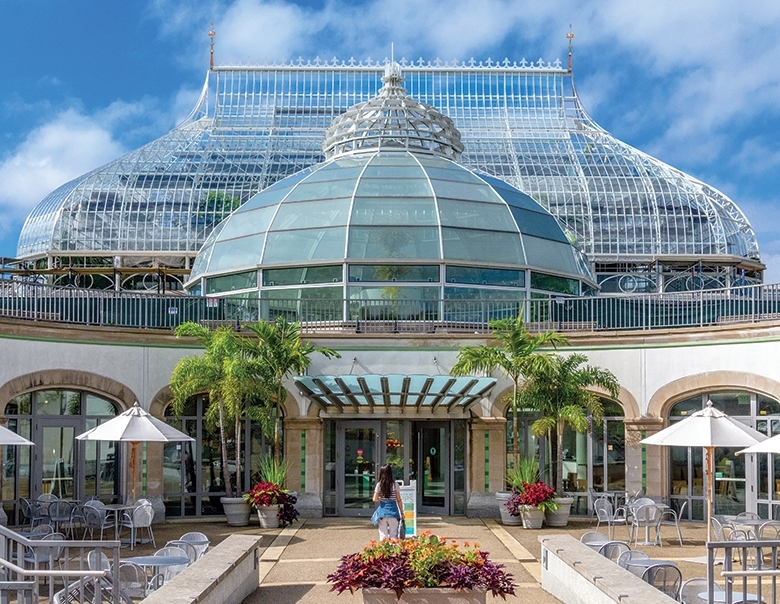 A historic landmark since 1893, Palm Court is the signature architectural gem that guests first experience at Phipps and is home to breathtaking plant displays, beautiful seasonal shows and inspiring art. In this historic Victorian glasshouse, memories are made and shared by families and friends from Pittsburgh and beyond. 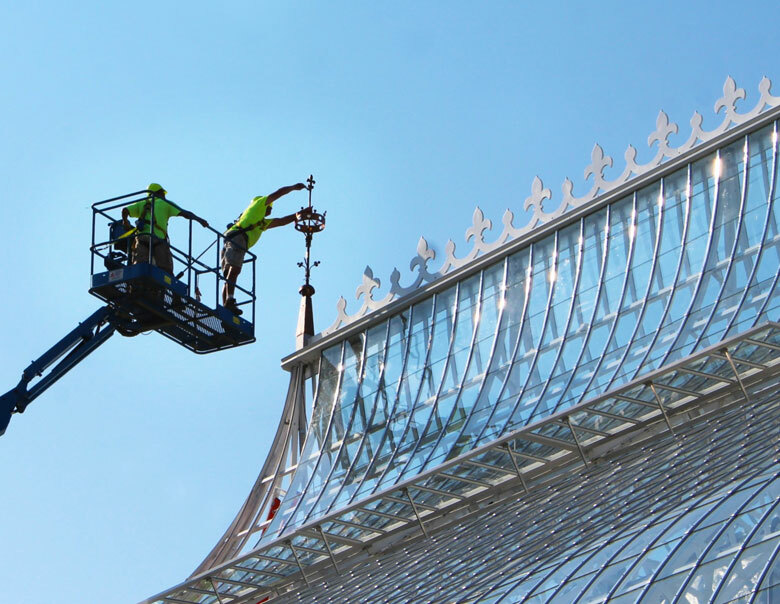 Your contribution will support Phipps' ongoing glasshouse restoration project, protecting and sustaining our magnificent Palm Court and other glasshouse rooms in the Conservatory. 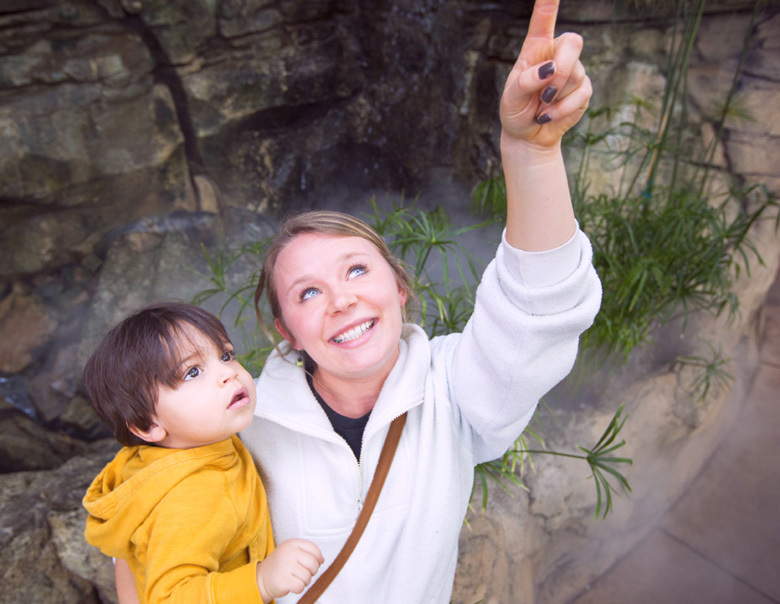 Give as a touching gift, make a dedication for your family or pay special tribute to a loved one, becoming a permanent part of Phipps that will fill each visit with special memories. Thanks to your help, Pittsburgh's Victorian glasshouse treasure will be maintained and protected for generations to come. With your sponsorship of a pane of glass, you will receive a frameable printed certificate with your pane coordinates, making it possible to locate your selected section in the conservatory. A special recognition display in Palm Court allows donors to look up their pane and displays a custom message of your choosing. Note: Individual glass panes will not be engraved; your pane will be identified in a special certificate bearing its coordinates. All donor messages are subject to approval by Phipps. Panes of glass are available in nine sections at three giving levels — $100 for the sides of Palm Court, $250 for the front of Palm Court, and $500 for the ogee arch. Choose your section using the map below. Did you want to make an additional donation to the restoration of Phipps? Copy "Enter your message" from first pane to other panes. Copy "Recipient Details" from first pane to other panes. Help preserve and protect our beloved glasshouse by sponsoring a glass pane today. For questions or additional information, please call 412/622-6915, ext. 6054 or email annualgiving@phipps.conservatory.org. Note: Individual glass panes will not be engraved; your pane will be identified in a special certificate bearing its coordinates. Pane dedications and messages are intended to recognize friends and family members. All donor messages are subject to approval by Phipps. Donor messages may not contain, as determined by Phipps, in its sole discretion, any content that is sexually explicit or suggestive, violent, derogatory, obscene, offensive, profane or pornographic; promotes alcohol, illegal drugs, tobacco, firearms or other weapons; promotes any activities that may appear unsafe or dangerous; promotes any particular political or religious agenda or message; overtly endorses any religious or political message or group; defames, misrepresents or contains disparaging remarks about other people or companies; contains trademarks, logos, or other copyrighted materials owned by others; contains any personal identification, such as license plate numbers, email addresses or street addresses; communicates messages or images inconsistent with the positive images and/or good will to which we wish to associate; and/or violates any law. © Copyright 2018 Phipps Conservatory and Botanical Gardens except where noted. All rights reserved.